Digital health solutions: Forget the AI-washing. ROI is king. In a year marked by extreme policy uncertainty, we saw steady progress in the growth of digital health and emerging technologies such as artificial intelligence. Structural shifts in the market will be the wildcard for 2018. In my final post for the year, I look at what’s ahead in 2018 for health care IT. As I write this, questions remain on the future of the Affordable Care Act (ACA). After having failed twice in its efforts on an outright repeal of the ACA, the current administration is coming at it through tax reform. The proposed new tax policy will remove the individual mandate, and will almost certainly target entitlements such as Medicare and Medicaid in their efforts to close the budget deficits arising from tax breaks. Most of the predictions I had made this time last year have played out the way I had outlined them. As I noted in my earlier predictions, the steady increase in cloud adoption ( estimated by Frost & Sullivan to be a $10 billion market by 2021), and the continued focus on IT security will be par for course in 2018. For the rest, I will refresh my position in light of the developments over the course of 2017. In my new book The Big Unlock, some of health care’s leading technology executives share their views on how data from a rapidly growing range of sources is being harnessed with new technologies and analytical methods to drive digital transformation in health care. They all agree on one thing: value-based care is a train that has left the station, and the ability to unlock insights from data will determine success in the new era of digital health. 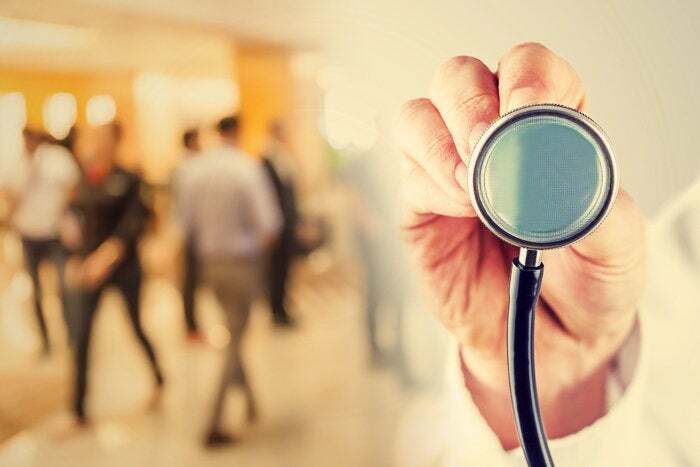 Big technology vendors and enterprises alike are staking out their positions in the future of health care with a data-oriented strategy. The CEO of Epic Systems even coined a new term for it (read my post “Out with E, in with the C”). The mega-merger between CVS Health and Aetna is in many ways about their combined data pool, with the entities highlighting the benefits to the health system from more integrated data and analytics that will improve health outcomes and reduce costs. The emerging sources of data will bring a new set of challenges: acceptability for use in clinical settings, common data models that can integrate non-traditional data sources such as streaming media, harmonization and standardization of the data. Last year, I had predicted that the term big data analytics would give way to cognitive and AI. Not only has that come true, but we seem to have swung to the other extreme. While there is no doubting the power of AI (with much anxiety about the technology’s potential to eliminate jobs), AI-washing is rampant, and it’s hard to find compelling case studies demonstrating how AI technologies have made a tangible difference. I discuss many of the promising and emerging use cases for AI in my post earlier this year. The most advanced adoption among the various AI tools seems to be for robotic process automation or RPA, with widespread use reported in high-volume transactional areas such as claims & revenue cycle operations. In contrast, the most complex and sophisticated technologies, such as IBM Watson Health’s cognitive computing platform, struggle with market perceptions on the technology’s ability to fulfill the promise to date. The tech sector can handle one or two big ideas at any given time, and this is particularly true in a conservative industry such as health care. For now, most of the airtime is going to AI. With the increasing focus on aggregating and organizing massive amounts of data from a wide range of clinical and non-clinical sources, the need for advanced technology that will protect privacy and security while democratizing access to the data will probably be the single most significant argument in favor of blockchain in the coming year. Early pilot programs under sponsorship from the FDA and the ONC will lead the way to establishing viable use cases in precision medicine that will open up broader commercial adoption. In the meantime, all the oxygen is being sucked out by blockchain’s first-born – the bitcoin, whose value stood at over $17,000 at the time of writing this. Who knows: we may look back this time next year and realize the object in the rear-view mirror was closer than we thought. The premise of digital transformation in health care is that the sector is ripe for a wave of new digitally-enabled experiences that will put consumers at the center of the experience, drive competition, increase engagement rates, and improve the quality of health care outcomes. The road to realizing this promise is rockier than we thought. In my recent post examining the slower-than-expected adoption of digital health platforms, I discuss the handful of digital health apps that have broader reach because they connect with a multitude of devices and systems to provide a more comprehensive and real-time experience. This naturally leads us to the question of interoperability – which remains work-in-progress, and to the internet of things (IoT), a catch-all term that refers to how smart devices can share data in real-time, a fundamental requirement for transforming health care delivery. Consumer-oriented digital health firms, faced with low adoption rates and waning interest from venture capitalists for incremental funding, have been shifting their focus from B2C to B2B models, implicitly acknowledging that health care enterprises hold the keys to the kingdom when it comes to influencing patients on adopting digital health solutions. The wildcard for 2018 may turn out to be structural changes in the health care sector. Besides the CVS-Aetna merger, we have also seen a revival of big provider mergers such as Dignity Health/Catholic Health Initiatives. The big unknown is the emergence of a non-traditional player such as Amazon, whose highly anticipated entry into pharma distribution was reportedly one of the main reasons behind the CVS-Aetna merger. Apple and Walmart are rumored to have their plans to make a disruptive entry in health care. Others, such as Google, GE Healthcare and IBM Watson Health will deepen their commitments to building powerful analytical engines that will enable health care institutions to solve the most complex problems in health care. I end humbly with a quote from the late Yogi Berra: It is difficult to make predictions, especially about the future.